KANSAS CITY, Kan. — Sometimes skillful, but always entertaining, it’s time again to “Rev it up” for the first of two Runnin’ Revs basketball games. The Runnin’ Revs, a team of basketball-playing archdiocesan priests and seminarians, will take on their perennial rivals the Serra All-Stars in a game for hoops glory and bragging rights at 7 p.m. on March 4 at Bishop Miege High School in Roeland Park. 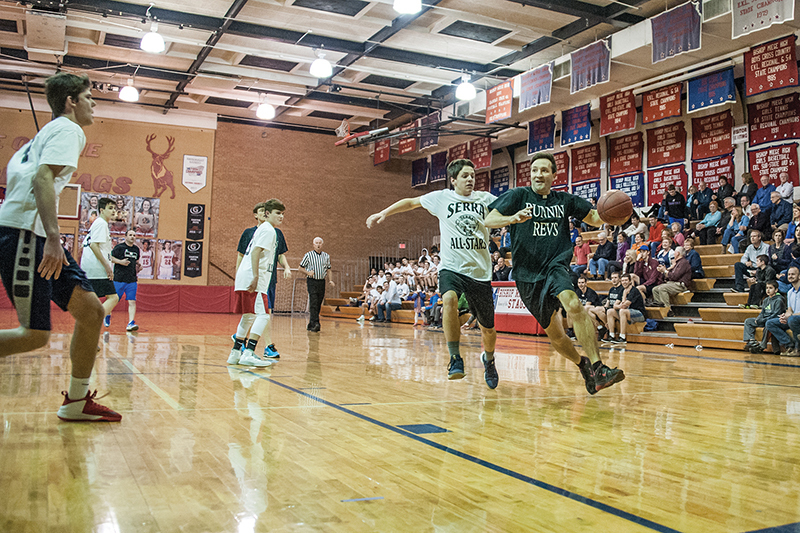 “The annual Runnin’ Revs basketball games are always a favorite for parishioners and priests alike,” said Father Dan Morris, archdiocesan vocations director. It’s all in good fun. And although there will be no admission charged to attend, donations will be used to benefit archdiocesan seminarians. The game includes a silent auction, with a spot at Camp Tekakwitha and KC Royals tickets up for bids. This year, the Revs have their work cut out for them. Although they usually and mysteriously win their games, this year they face an energetic All-Stars team coached by Bill Maloney. The All-Stars roster consists of two players from each of the Catholic high schools, and one 8th-grade player from each of the area Catholic elementary schools. The second Runnin’ Revs game will take place at 7 p.m. on April 29 at Hayden High School in Topeka. This game, too, is open to the public and there will be no admission charged. What is the cover charge for the game?